Sparkling Adventures -✯- The Poulet Chalet is finished! It’s a dream come true for me! My vegie-patch/chook-run is now complete with the addition of the pretty Poulet Chalet! I’ve placed the house outside the run where we can collect the eggs without opening the gate. My ladies are becoming more adventurous and are in a good routine of scratching around the yard as soon as it becomes light. They’re also putting themselves to bed now. For several days I had to catch them and herd them into their temporary sleeping box. Finally completed, here is the hen house. 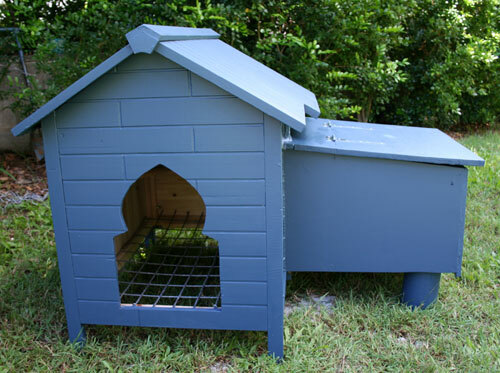 I modified a dog kennel by adding a nesting box to the side that allows eggs to be collected without opening up the house or going into the chook pen. The chooks were eager to move in and check out their new premises. I've mounted a wooden broomstick halfway up the walls to allow the chooks to roost. The wire floor means that the droppings should fall down to the ground underneath so we can scrape them up and use them on the garden. I’ll remove the old box from their yard so they settle into their new home properly, and then it’ll just be a wait for my ladies to start producing eggs! Now we know exactly why the chicken crossed the road! No paltry accommodation for these poultry. I’m such a great comedi-hen. Lauren, you’re a good egg. 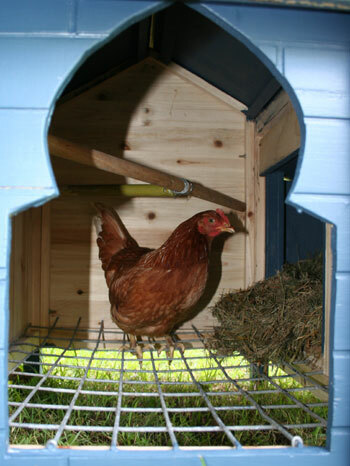 Maybe you’ll win the Pullet-Surprise (or should that be poulet-surprise?) Sorry about the fowl up! I know. My sense of humour is nothing to crow about. If anyone wants to take over the posting of chicken jokes, I can only wish them the best of cluck! I just need to keep abreast of others posting without getting cocky! Very nice poulet chalet! I enjoyed catching up on your blog. If I could just keep thinking of chicken puns, that would be quite a coop. This blog is a real example of poultry in motion. Anyone else feeling peckish after being cooped up all day? Eggs-actly! You know I’m too chicken to make these puns in public. (That would be the nest best thing.) I guess the yolk’s on me! Bye, peeps! What happened to your chooks? 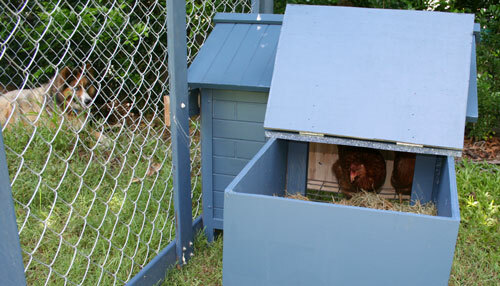 This was one of the you may also like posts on your newest post, but it’s quite old now, and from however far back I’ve read I haven’t seen any mention of your chooks before, so I’m thinking that you don’t have them now that you’re (mostly) nomadic?